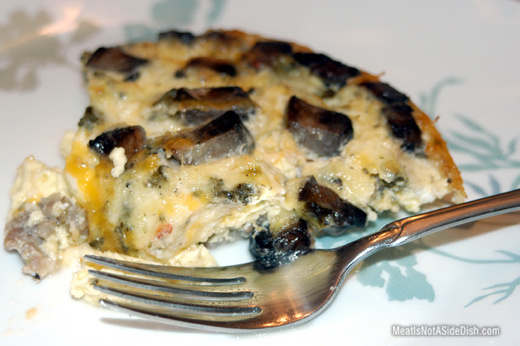 To make this Easy Crustless Sausage Quiche recipe, crumble sausage and cook fully; drain. Cook mushrooms until soft. Beat eggs, milk and pepper together. 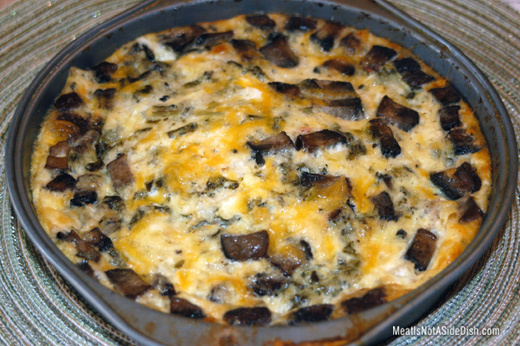 Pour into 9×9 pan and add mushrooms, sausage, spinach, and cheese; stir until combined. Sprinkle remaining cheese on top. Bake in oven at 350 degrees for 30-40 minutes or until set and bubbling around the edge. Sounds awesome! !…& do so adore quiche! !